Alzheimer disease causes the gradual deterioration of cognitive function, including severe memory loss and impairments in abstraction and reasoning. Understanding the complex changes that occur in the brain as the disease progresses—including the accumulation of amyloid plaques and neurofibrillary tangles—is critical for the development of successful therapeutic approaches. 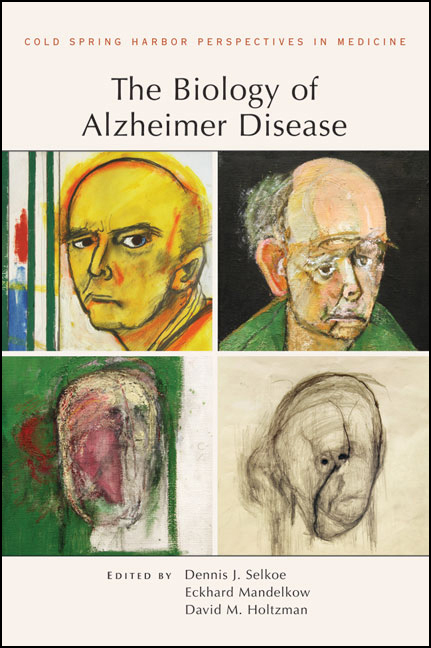 Written and edited by leading experts in the field, this collection from Cold Spring Harbor Perspectives in Medicine includes contributions covering all aspects of Alzheimer disease, from our current molecular understanding to therapeutic agents that could be used to treat and, ultimately, prevent it. Contributors discuss the biochemistry and cell biology of amyloid β-protein precursor (APP), tau, presenilin, β-secretase, and apolipoprotein E and their involvement in Alzheimer disease. They also review the clinical, neuropathological, imaging, and biomarker phenotypes of the disease; genetic alterations associated with the disorder; and epidemiological insights into its causation and pathogenesis. This comprehensive volume, which includes discussions of therapeutic strategies that are currently used or under development, is a vital reference for neurobiologists, cell biologists, pathologists, and other scientists pursuing the biological basis of Alzheimer disease, as well as investigators, clinicians, and students interested in its pathogenesis, treatment, and prevention.